VSPM College of Physiotherapy to conduct it's annual fest - Versatalia’ 17! 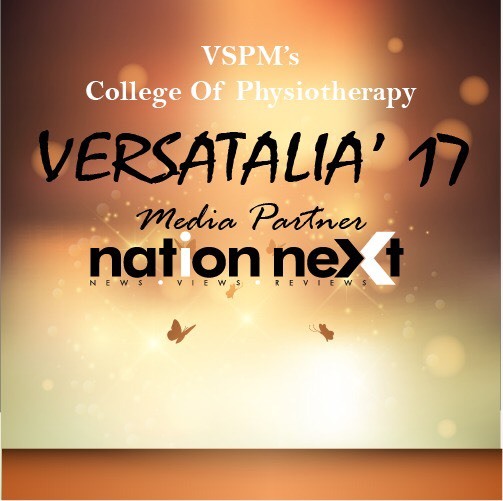 Nagpur’s VSPM College of Physiotherapy to conduct it’s annual fest – Versatalia’ 17! Vidya Shikshan Prasarak Mandal’s (VSPM) College of Physiotherapy in association with Nation Next has organised its annual cultural fest – Versatalia’ 17 – from 11th to 14th February, 2017. The four-day long fest would include various activities including sports, dance performances, fete, mehendi competition, discussions on the recent demonetisation drive, etc. The first two days of the cultural fest would be dedicated for the sports event Urja, which would witness the participation of not just the students but also the faculty members. Like each year, students, that include postgraduates as well as interns, would be seen taking active participation in various sports activities like lagori, volleyball, sac race, lemon spoon race, tug of war, dodge ball, etc. The college on the third day of the event has also organsied a fete – Aagaaz – that would have stalls of various street food items that one would enjoy at Mumbai’s chowpatty. Iktaara, on the last day of the fest, i.e. 14 Feb, would be the main cultural night that would include dance performances by teachers and students.